You may call it Toledo, Caroline,Kewl Nextgen,Blackboard in simple terms depending on the learning environment at your institution of working or campus.At my university of work, Kewl Nextgen is the word to use. 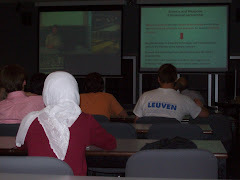 To me its is a record of all my experience in Belgium, Leuven, at AVNET and during my International Training Programme in Audio Visual Learning Materials-Production and Management at the Catholic University of Leuven(KULeuven). Welcome to my ITP Audio Visual Learning Materials' site! Hi. Welcome to my learning site of Audio Visual Learning Materials-Production and Management at the Catholic University of Leuven(KULeuven) from May 7th to July 4th 2008. This is a very wanderful place where it is good to be. I am Kule Abraham from Uganda working as an Editor in the Center of Distance Learning Studies in Uganda Martyrs University which is 82km west of Kampala, the capital city of Uganda. Uganda Martyrs University, commonly known as UMU is along the equator and is the university of quality in Uganda. You want to follow what I am doing here in Belgium every day, just keep on line here and there we shall be connected. Remember to interact by sending your comments. O.k lets keep in touch. Major Achievements • Data collection, analysis, report writing and dissemination for the following projects:  Team member of Uganda Martyrs University on “Paths of Development, Catholic African Universities meet the challenges of poverty”(2009-2012). A joint research carried by Uganda Martyrs University-Uganda, Catholic University of Eastern Africa-Kenya, Universite’ Cathoque du Graben-DRC, Universite’ Catholique de Kabgayi-Rwanda and Universidade Catolica do Mozambique, Mozambique. 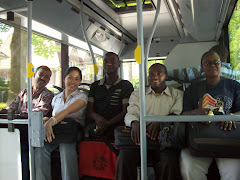  Needs Assessment in Uganda (2009) which came up with a research agenda for Uganda Martyrs University. I was a lead reaseacher for the Centre for Distance Learning Studies department. 2009. 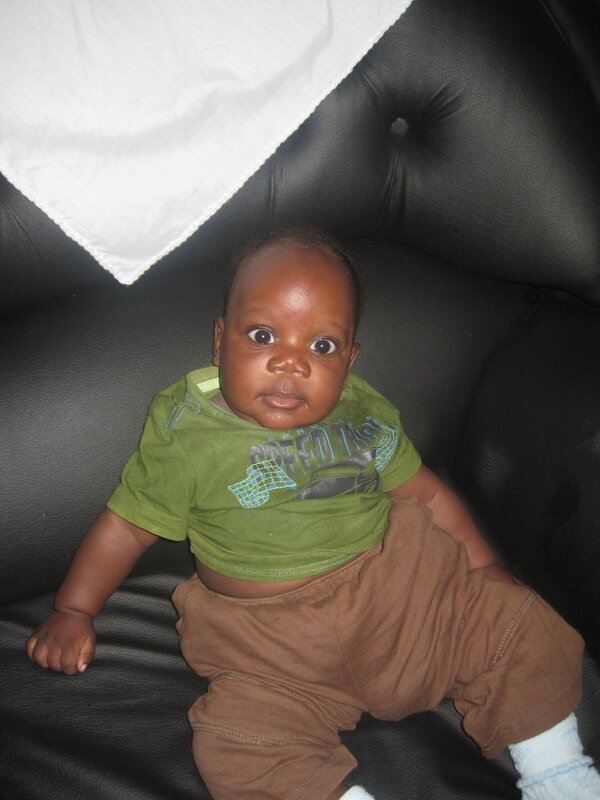  Audiovisual research project by the Centre for Distance Learning, Uganda Martyrs University. 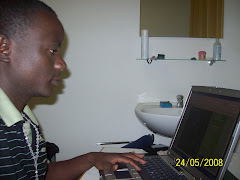 I was part of the research team • Appointed as an Editor in 2006 for 6 years where I was a minute take and editing and writing reports for the Centre for Distance Learning Studies at Uganda Martyrs University. 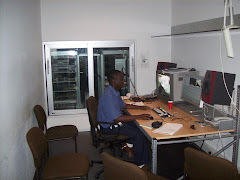 • Senate minute recorder at Uganda Martyrs University-Nkozi during my service as an Editor and Assistant Registrar. I wrote minutes for the highest organ for the University for 3 years. • Published in 2012. Kule et al. (2012). 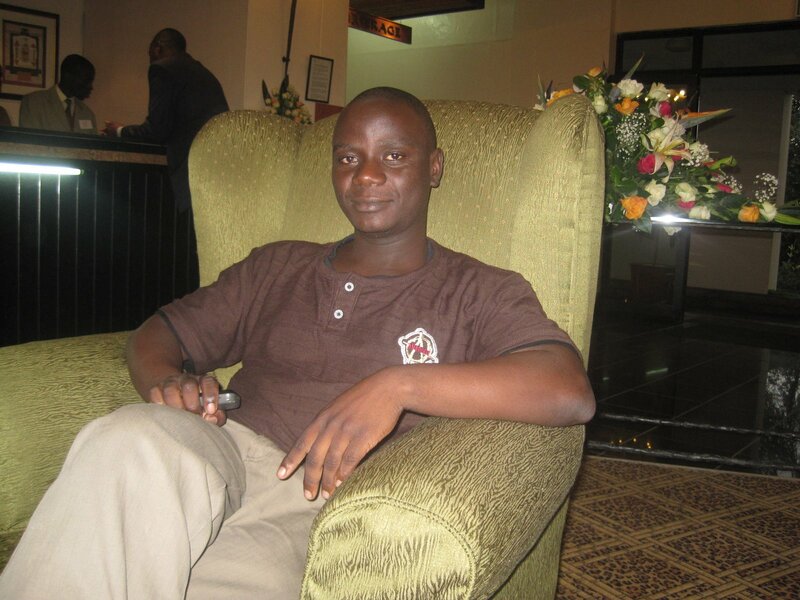 Overcoming Poverty: Accounting for Stagnation and Upward Mobility in Central Uganda. East African Researcher pp 1-17 ISSN: 1816-6822. • In 2014, attended the 9th International Conference on ICT for Development, Education and Training, hosted by the government of Uganda held in Kampala. Conference website: http://www.elearning-africa.com/programme_speakerlist.php and presented a paper “Information Systems and eLearning Innovations of Private Universities in Uganda: A case study of Uganda Martyrs University” • In 2010, attended a training workshop on Research Methodology, Scientific Writing, Proposal Writing and Communication supported by International Development Research Centre Ottawa, Canada held at the University of Nairobi. • In 2009, attended the IST-Africa 2009 Conference and Exhibition 06-08 May 2009, Kampala-Uganda available at http://www.ist-africa.org/conference2009/ • Won different international competitive awards: the University of Nairobi-International Development Research Centre(IDRC-Cananda) South Junior Research Award of 2010; the VLIR-UOS awards scholarships for International Training Programmes in AudioVisual Learning Materials (AVLM) – Production and Management at Katholieke Universiteit Leuven of 2008; Belgium Technical Cooperation (BTC CTB) scholarship award for academic year 2007-2008; and the latest award is the NFP fellowship for Climate change and food security nexus II, at the Centre for Development Innovation, Wageningen UR which will take place from 21/11/2016 - 02/12/2016 in Wageningen, the NETHERLANDS. • Appointed as an Associate Consultant at Uganda Management Institute since 2013 where I have successfully been involved in its consultancies and teaching and my contract renewed because of good performance. • Promoted to Assistant Registrar at Uganda Martyrs University where I succeeded in implementing an Information System and coming up with a clear admission policy for the University. • Assisted Rwenzori Action for Life Improvement to register as a NGO in Uganda and helped it to manage different grants for its projects whilst working as its Executive Secretary, a managerial position I have held since 2010. I am a Social Scientist with over 9 years experience in administrative work and well as teaching in Higher Education. Communicates confidently and effectively at all levels and uses initiative to meet the highest standards. Holding a MBA-IT, PGISM and BA and always striving to go the extra mile in order to achieve the set goal. Able to work on own initiative and as part of a team. Proven record in teaching in higher education, administration and report writing and dissemination skills. First class analytical, design and problem solving skills. Seeking new challenges and additional responsibility to progress career. Kule Abraham of Uganda-Kasese districk, Kisinga Subcounty-Karambi village. Watermark theme. Powered by Blogger.